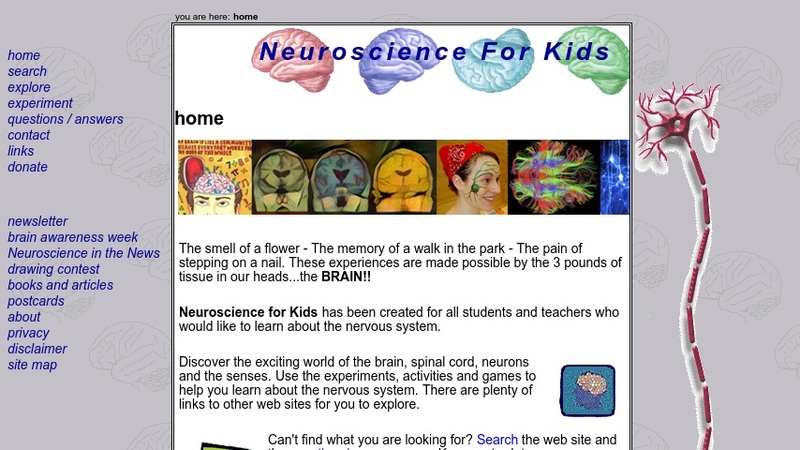 This site provides information for students and teachers who are interested in learning more about the human nervous system, brain, neurons, and senses. Materials include general information, lessons, demonstrations, experiments, and games. There is also a question-and-answer page, a newsletter, news items, links to books and articles, and other resources.